RSS is a leading provider of temporary power rental and cooling solutions. 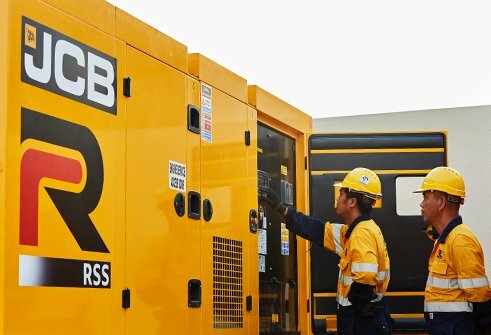 Our power generation and cooling equipment is best in class, offering among the most reliable and fuel-efficient equipment in the market built to rental specifications. We provide temporary power and cooling solutions to single-site projects and entire cities alike. We have the equipment to offer temporary power and cooling solutions from three days to three months to three years. 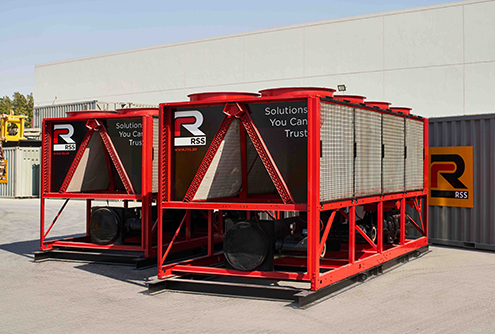 RSS designs, installs and operates large tonnage rental cooling solutions across the Middle East with its fleet of more than 35,000TR of chillers and HVAC system equipment, including air handlers, pumps, valves and standalone air conditioning systems. We use combinations of fixed and variable frequency drive equipment to maximise the efficiency of our cooling solutions, offering our customers greater control over their power consumption and enabling them to cut down on operational expenses. RSS’ temperature control packages are used to cool and maintain the temperature of facilities in almost any environment, from construction sites to petrochemical plants. Our wild air cooling options keep space temperatures workable, while our full range of cooling solutions fill the gaps left by incidents such as a lag between project handover or connection to permanent district cooling. We ensure your industrial, hotel, office, retail or housing development remains useable, rentable and saleable, no matter the climate. The entire RSS fleet of chillers is adapted to rental specifications. Combined with our temporary power products, it ensures we provide a one-stop-shop for temporary power and cooling rental solutions and services. All chilled water hoses are pre insulated and supplied with a 150PSI test certificate. The complete installation will be pressure tested to 8 Bar to ensure the integrity of the system.